When you purchase our theme from Themeforest. You can download LetsBlog files from Themeforest > Your Account > Downloads. Navigate through your purchased items and find LetsBlog. Click download button then you will se 2 options. Main file contain everything. Installable Wordpress Theme is included only installable Wordpress theme file. Check list of what's included when you download the main file option. Installable Theme File (.zip) - You can upload this file to your Wordpress to install the theme. Documentation - Contain theme documentation file. Licensing Folder - Contain all licensing info files. Plugins Folder - Contain all required plugin files. In order to begin installing LetsBlog theme. You need the latest version of Wordpress. Here is the download URL. Once you downloaded and set it up, You are ready to go. Then you will be redirected to theme admin panel page. 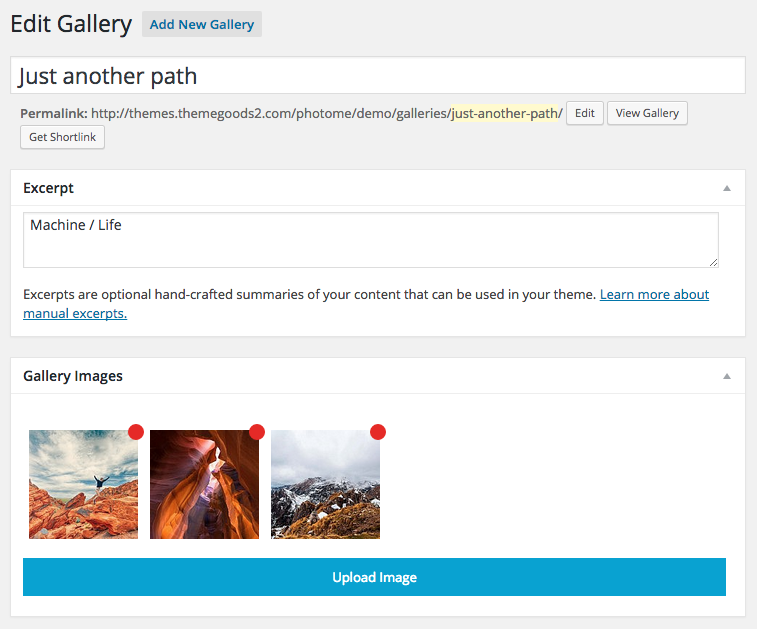 LetsBlog Theme Gallery and Shortcode – Add theme gallery functionality and shortcode. 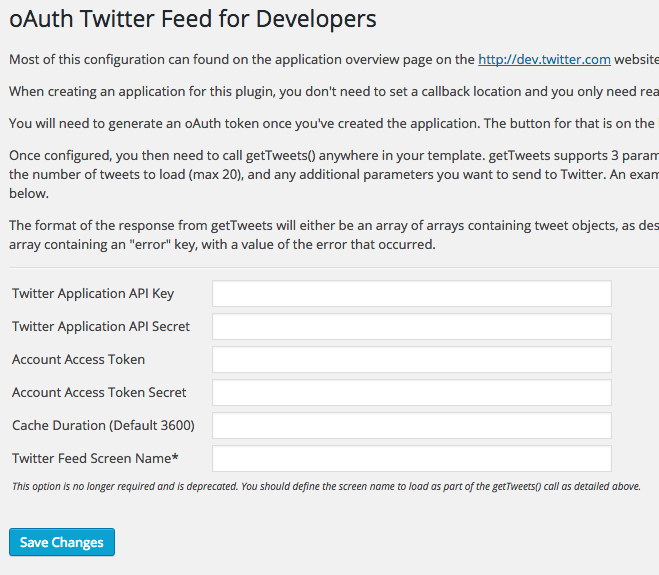 oAuth Twitter Feed for Developers - Twitter API settings plugin. What’s included: posts, pages, images, videos and theme settings (typography, colors, styling and theme options). 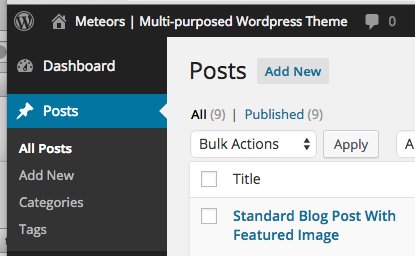 Install and activate LetsBlog Custom Post Type plugin before you proceed. 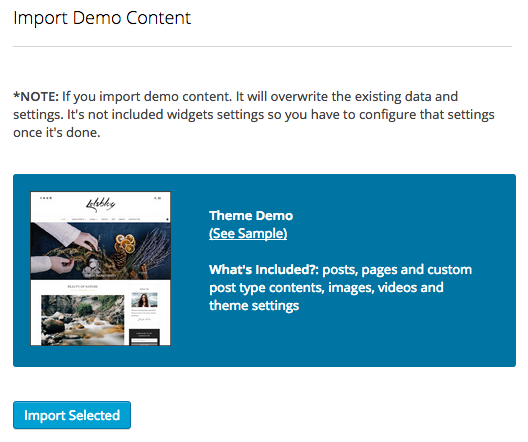 Open Theme Setting > Demo Content then select which demo you want to import and click “Import Selected”. 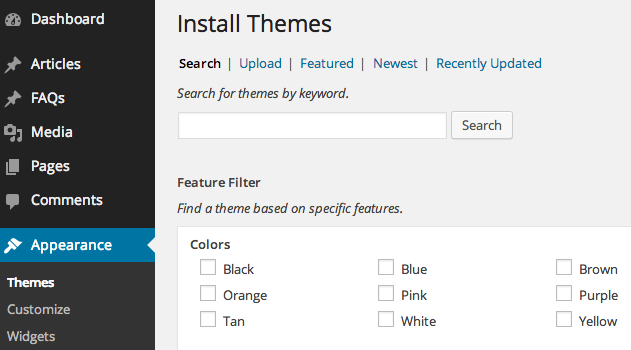 Theme Support custom WordPress menu, you can organise them into dropdown menu too. To add menu items, select one of your pages/posts on the left hand boxes. Then click "Add To Menu". If you want to add custom link menu item (for example home link). Select "Links" and enter URL, Link Text there. You can organise your menu items using drag&drop functionality. Simple drag a menu item right below to the parent menu item. After setting up your menu, scroll down to the bottom of the page then assign the menu to "Primary Menu" in the Theme Locations box. For those who are not familiar with Wordpress menu system below are video tutorial. Mega Menu is extensive sub menu which allow you to display large amount menu items into columns. You can select from 2-5 columns. To setup mega menu. Open Appearance > Menus then you can drag menu items to be child of parent items. On menu parent item, open its option box and add class “megamenu” to enable mega menu display. Then enter number of columns you want. For example if you want to display mega menu in 4 columns enter class “col4“. 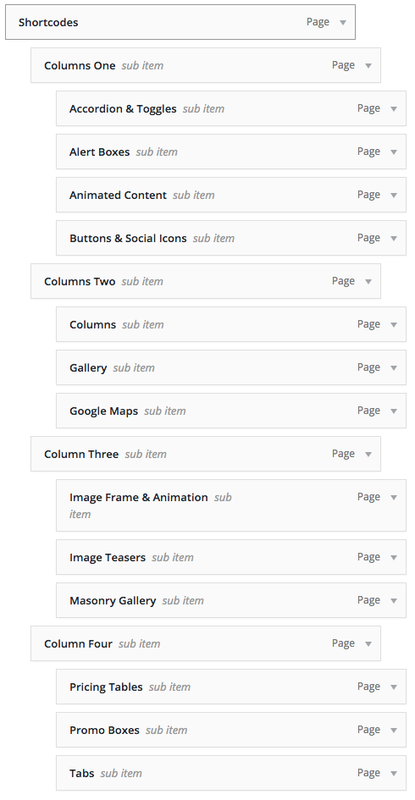 So you need to add and organise menu items of this mega menu into 4 columns. Please see above screenshot of Appearance > Menus to get an example. You can also can display or hide columns name. By default it displays each mega menu columns name ex. Project Fullwidth, Project Grid etc. You can also hide it by open menu item option and add “hidden” CSS class. To add menu items, select one of your pages/posts on the left hand boxes. Then click “Add To Menu”. If you want to add custom link menu item (for example home link). Select “Links” and enter URL, Link Text there. 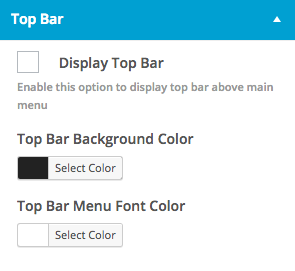 After setting up your menu, scroll down to the bottom of the page then assign the menu to “Top Bar Menu” in the Theme Locations box. Note: top Bar Menu is not support sub menu. Side menu is hidden by default. Visitor click three bar icon on the top right of screen to open it. It’s also main menu or tablet (portrait view) and mobile devices. After setting up your menu, scroll down to the bottom of the page then assign the menu to “Side (Mobile) Menu” in the Theme Locations box. To add search function to side menu. 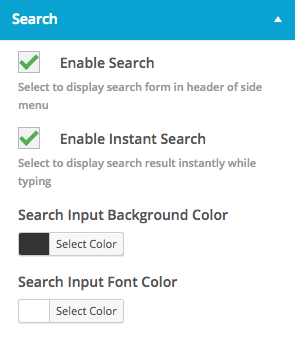 Open Appearance > Customize > Menu > Search > Enable Search. It displays search bar at the top of side menu. You can organise your menu items using drag&drop functionality. After setting up your menu, scroll down to the bottom of the page then assign the menu to “Footer Menu” in the Theme Locations box. Open Appearance > Customize > Footer > Copyright > Copyright Right Area Content and select “Footer Menu”. NOTE: Footer menu is not support sub menu. Note: Please make sure you enable Top Bar in order to display contact info content. First you need to add your social media accounts. Go to Theme Settings > Socials Profiles and enter your profiles accounts there. 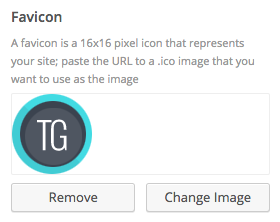 If you don’t want to display some social icons, simply leave them blank and it won’t displays on live site. You will find “Footer Widget” section. 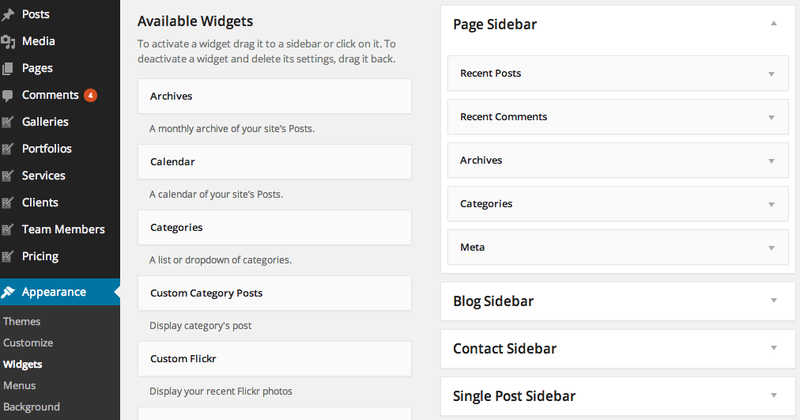 Simply drag and drop widgets you want from the left side boxes into the “Footer Sidebar”. You can change footer background color, font color and etc. Go to Appearance > Customize > Footer > Colors once finish customising. Click “Save All Changes” button. The go to top option if you enable it. It will display arrow up button when visitor click on it. It will redirect to the top of page. Go to Theme Setting > Social Profiles and enter instagram username option. Next you will need to login to your Instagram account and click here to find Access Token. Now you can add Custom Instagram Widget to any sidebar you want using Appearance > Widgets. You can also display Instagram photostream at the bottom of page before footer. Please make sure you follow above steps of how to setup Instagram Access Token. Then go to Theme Setting > Social Profiles > Photo Stream and Select photo stream photo source. It displays before footer area to “Instagram”. You can also display Flickr photostream at the bottom of page before footer. Go to Theme Setting > Social Profiles > Photo Stream and Select photo stream photo source. It displays before footer area to “Flickr”. 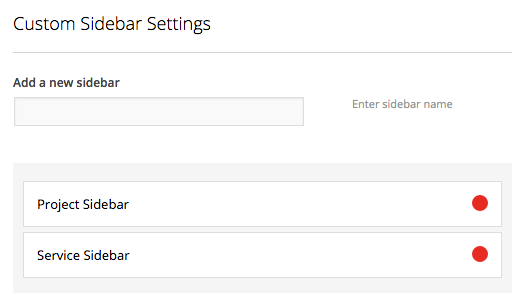 Go to Theme Settings > General you will see Custom Sidebar Settings. You can add widgets to the sidebar using Appearance > Widgets You will find your selected widget on the left side. Simply drag and drop widgets you want from the left side boxes into the sidebar box. Add page title and you will find “Page Options” box on the right side. 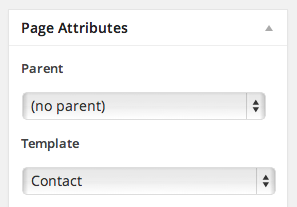 Select your parent page in page attribute option box on the bottom right. Select your page template from template dropdown list in page attribute option box on the bottom right. Enter your page content to editing field. You can use visual or text editor. Page content is mainly built using text, HTML or shortcodes. Theme has 2 general page with sidebar templates. You can select between left and right sidebar templates. Follow above steps and when you select page template select Page With Right Sidebar or Page With Left Sidebar as page template. Next look at page option box, select the sidebar you want to display on this page and save changes. When you create a page. Check “Display Page Title” in page option meta box. You can customise page title alignment, typography, font size etc. Go to Theme Setting > Page Title. 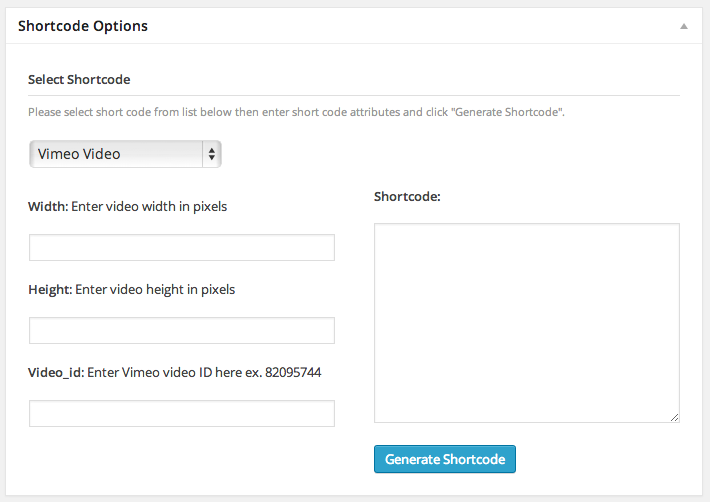 You can use Shortcode Generator in Shortcode option box below editing field to generate shortcode. Simply select shortcode you want to use and enter its options. Once finish click “Generated Shortcode” and copy shortcode to editing fields. Hide Page Title – Check this option if you want to hide page title. First, you have to setup your email address. Open Theme Setting > General > Contact Form Setting and setup your email address. From your admin sidebar, open Pages > Add New. You will get add new page form. Enter page title and description. Next look at Page Attributes" box. Select "Contact" for page template and click on "Publish". Next look at Page Attributes" box. Select "Default Template" for page template and click on "Publish". Meh synth Schlitz, tempor duis single-origin coffee ea next level ethnic fingerstache fanny pack nostrud. Photo booth anim 8-bit hella, PBR 3 wolf moon beard Helvetica. Salvia esse nihil, flexitarian Truffaut synth art party deep v chillwave. <i>Seitan High Life reprehenderit consectetur cupidatat kogi. Et leggings fanny pack, elit bespoke vinyl art party</i> Pitchfork selfies master cleanse Kickstarter seitan retro. Drinking vinegar stumptown yr pop-up artisan sunt. By default, when you activated theme. Your homepage will display your recent posts and you can change its option. 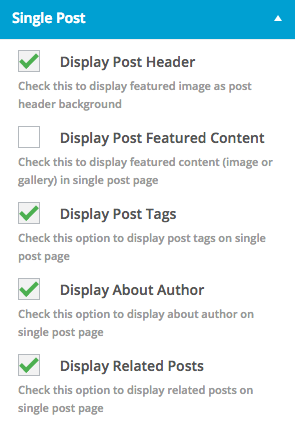 From your admin sidebar Settings > Reading > Front page displays select "Your latest posts". You can also change number of blog posts per page there too. You can customize homepage layout. Go to Appearance > Customize > Blog > Layout > Homepage Layout and select layout you want then save changes. You can also customize other default Wordpress pages ex. category, archive etc. there too. You can customize homepage layout. Go to Appearance > Customize > Blog > Slider and check "Display Slider" option. 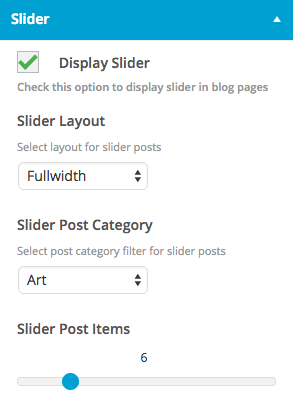 Next select slider layout you want and slider category so slider will displays only selected category's posts. First thing to create blog content is to create a post post. 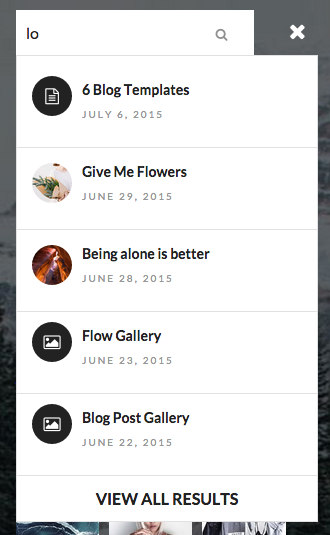 Theme has various post options for you display different content on your blog post. Here are the steps to create a blog post. Enter post title and content. You can use any shortcode or HTML to editing field. Add tags to this post. Type tag name in to the field in Tags box on the right side. Upload post featured image using set featured box on the bottom right side. All pages will use this image for post preview image and thumbnail. Once you finish, click Publish. Post Layout – Select single post page layout between fullwidth and with right sidebar. Featured Content Type – Select featured content type to displays at the top of this post. You can select from Image, Gallery, Vimeo Video and Youtube Video. 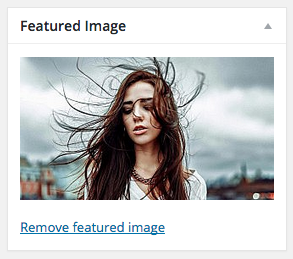 Display featured content – This option will display post’s featured image or gallery at the top of single post page. Display tag – This option will display post’s tags at the bottom of single post page. Display about author – This option will display post’s author information at the bottom of single post page. Display Related posts – This option will display related posts under main post content. From your admin sidebar, open Settings > Reading. Then adjust number of "Blog pages show at most". Once you finish, click "Save Changes". You can organise posts into category. Each post can be assigned to multiple categories. First you have to create a category. Open Posts > Categories. You will see list of current categories you have. To add new one. Enter Category name, slug and click "Add New Category" button. Now when you create a blog post. Look at categories option box, select categories you want to assign and save changes. When you created a category. 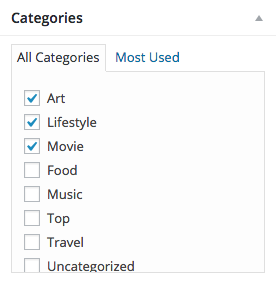 Wordpress actually creates category for you. 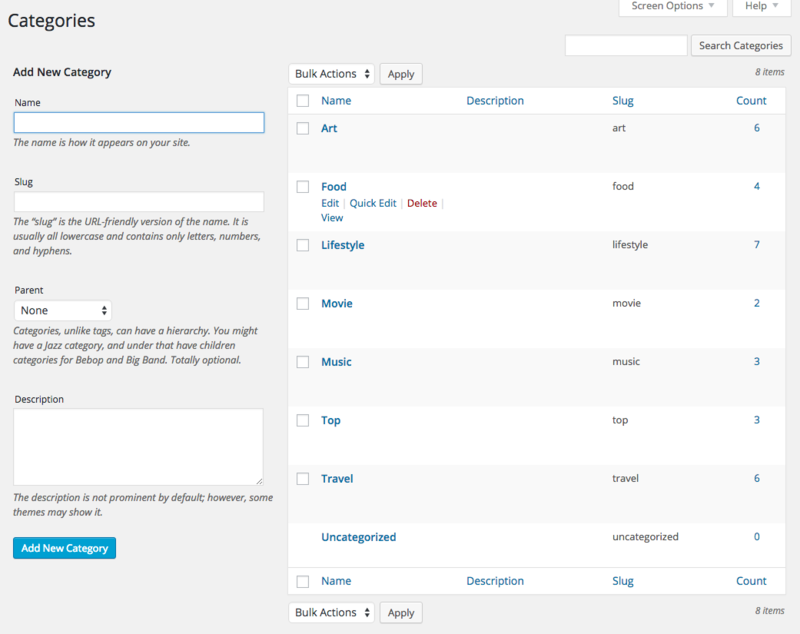 To add a category archive to one of your menus, go to “Appearance > Menus” in the WordPress admin. Look for the section labeled “Categories.” Then, select the categories you want and add them to your menu. You can customize category page layout. 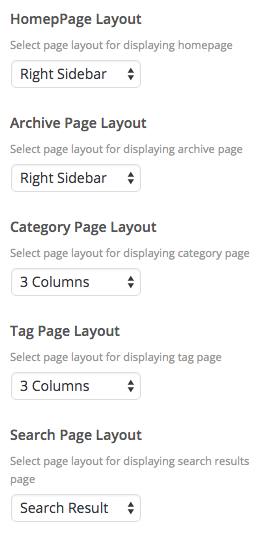 Go to Appearance > Customize > Blog > Layout > Category Page Layout and select layout you want then save changes. First you have to create a gallery. From your admin sidebar, open Galleries > Add New Gallery. You will get add new gallery form. Enter gallery title and description then click “Publish”. Next you have to add images to this gallery. From gallery admin page. Click on “Upload Image”. Then select images you want to upload to this gallery. Once you finish upload each image. It will automatically attach to this gallery. You can also change image caption and description by clicking image from this page. If you want to change order of images within gallery. You can easily drag&drop image next to each one. Once you finish dragging, click “Update” to save changes. When you create a post. 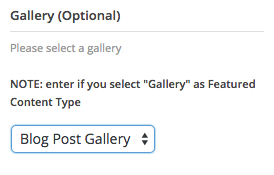 Look at post option box, select "Gallery" as content type. You will see gallery option with list of galleries. Select the one you want to display on this post and save changes. 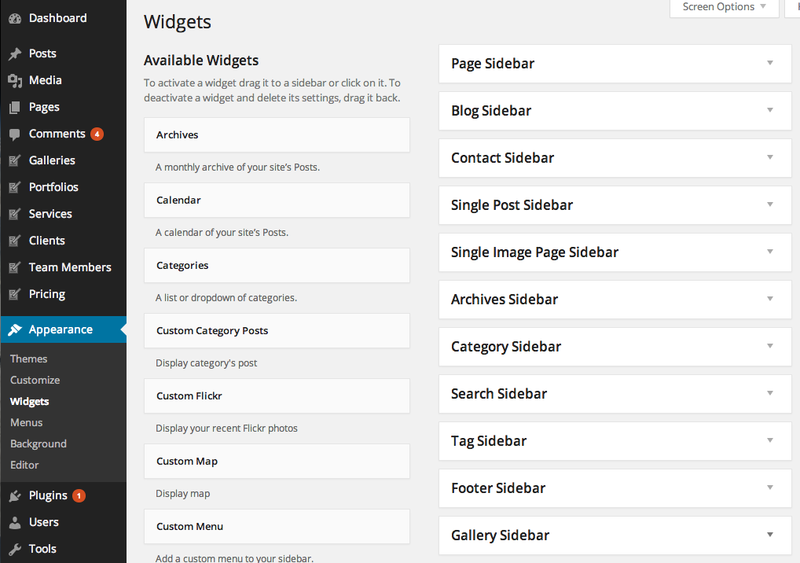 All widgets can be used in standard Wordpress widget system in Appearance > Widgets. You can drag&drop the widget on the left side over sidebar option on the right side. Each widget has its settings option and you put as many widgets as you want to the sidebar. Once you change the setting of widget, please make sure you click Save button. 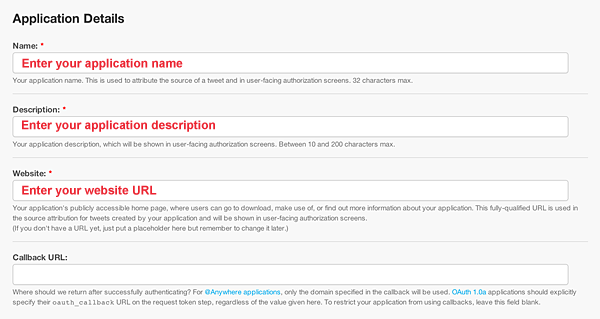 Create new application then click to create the access token, then refresh the page. Install and activate Widget Importer & Exporter plugin before you proceed. Download this demo widgets import file. Once you finish download, unzip the file and you will find .wie file there. Open Wordpress Dashboard > Tools > Widget Importer & Exporter. Look at import widgets section. Select file you recently download and click Import Widgets. Once it’s completed you will see success message and you can now enjoy demo sidebars widgets. On theme demo site. There is Facebook Page widget which can easily create using this plugin. On theme demo site. There is Mailing list subscription which can easily create using MailChimp server (You can create free account there ). You can download the plugin here. 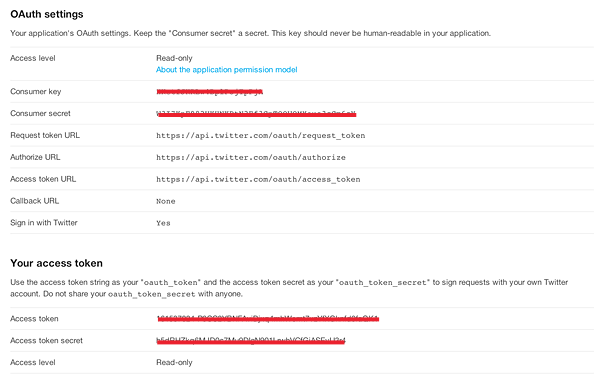 Please make sure you follow above steps of how to setup Instagram Access Token. Then when you add Instagram widget to sidebar. Enter number of photos you want to displays and save changes. Theme also support Wordprss customize. Go to Appearance > Customize. It will load all customization options on the left side. Simple change each options and it will preview results instantly on the right side. Once you finish customising. Click "Save" button. By default storing inside theme folder. The theme language folder is wp-content/themes/tgletsblog/languages this method has one downside. Because whenevery you update the theme. The whole language folder will be replaced with original version which overwrite your translation files. NOTE: So the solution is to backup your translation file before updating theme. 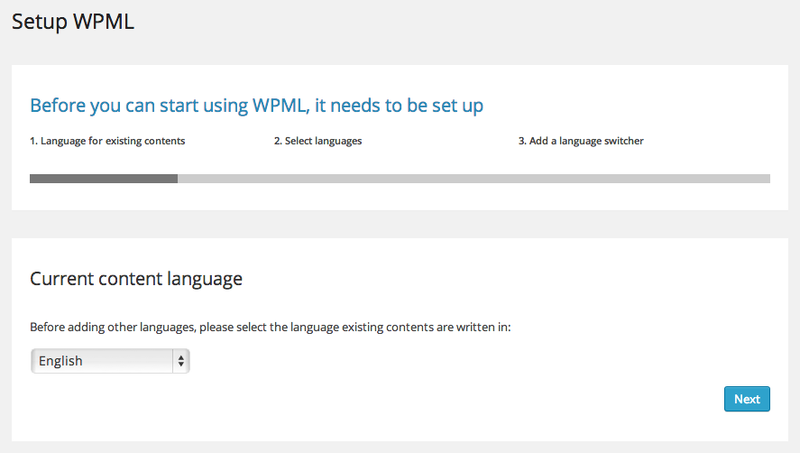 LetsBlog support WPML plugin for Multilingual content . First you have topurchase WPML license from https://wpml.org and your can download the plugin from your WPML account page (download WPML Multilingual CMS). Then install the plugin. From your admin sidebar, open Plugins > Add New > Upload. Then upload and install the plugin. Once you installed, activate it and it will be ready to use. 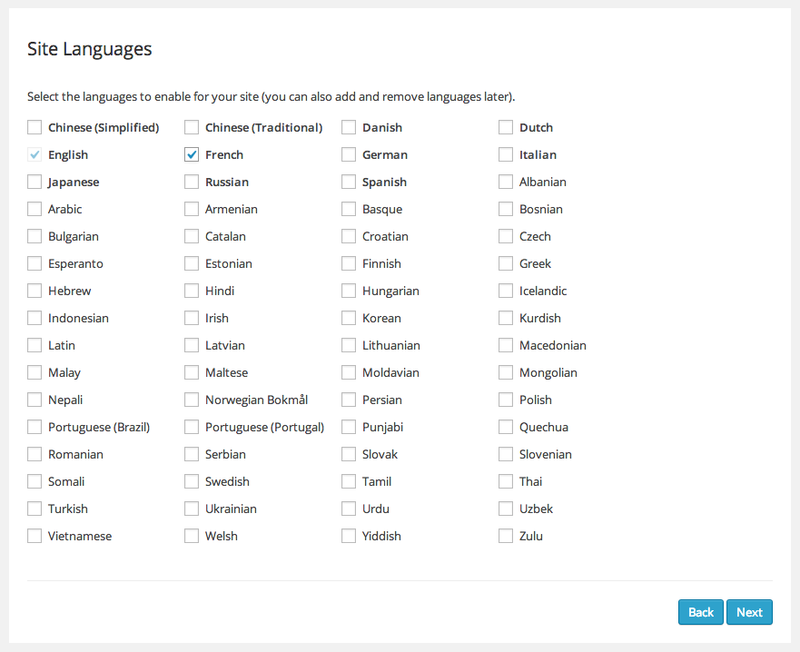 The last step is to add language switcher to your site. There are many ways to add it. You can select sidebar to display language switcher from the option "Choose where to display the language switcher widget". Another option is to add language switcher to your menu. Check "Display the language switcher in the WP Menu". option and select your main menu. 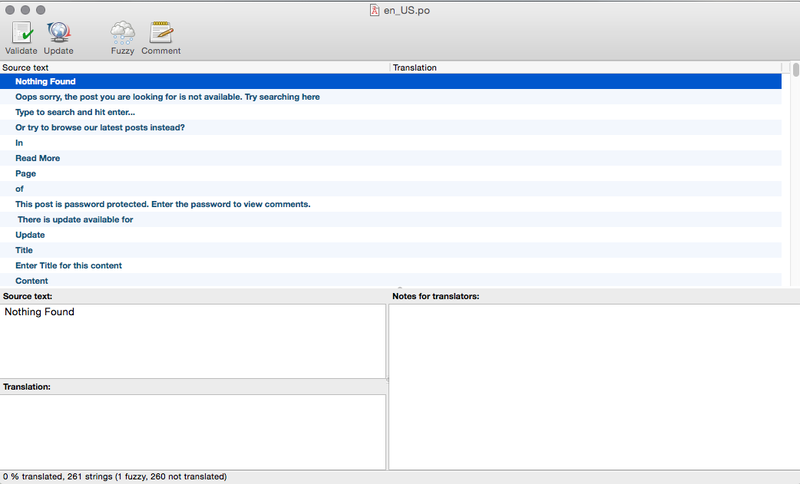 Open WPML > Theme and plugins localization and check "Translate by WPML." and click Save button. Now WPML should added all translation strings to the system. First you need to download the latest version of theme. Log into your Themeforest account and navigate to your downloads tab. 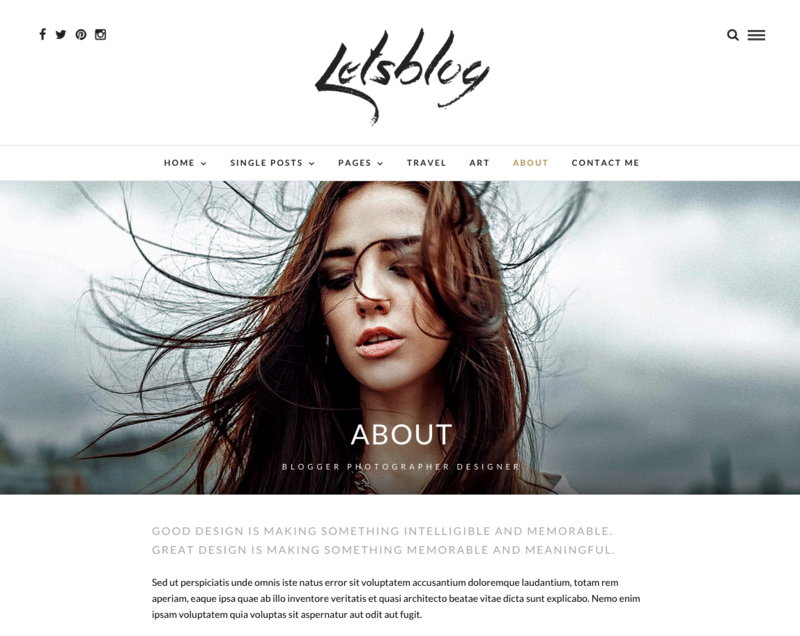 Find the “letsblog” theme purchase. Click the “download” button next to it and choose to download the “Installable WordPress Theme” which is just the WordPress file, or choose the “Main Files” which is the entire package which include theme documentation, plugins etc. Backup current Theme Setting > Backup. You will get a .JSON file (just in case everything went wrong and you still have theme settings backup file to import). 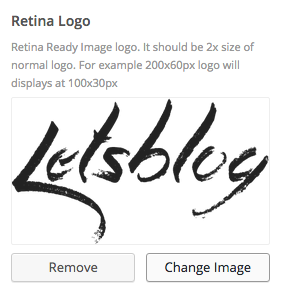 You need to deactivate “letsblog” theme in the Appearance > Themes by simply activating a different theme. Once you activate a different theme, you can delete the letsblog theme. Don’t worry. You really won’t loose any of your data. Get the “letsblog-v…installable.zip” file from Themeforest Account > download. If you downloaded the “Main Files” from Themeforest, then you need to unzip the archive file you received, the letsblog-v…installable.zip will be inside of it. Upload letsblog-v…installable.zip using Appearance > Themes once you uploaded successfully, activate the theme. Login to your FTP account. Navigate to wp-content > themes location and backup your “letsblog” theme folder by saving it to your computer, or you can choose to simply delete it. Don’t worry. You really won’t loose any of your data. Drag and drop the new “letsblog” folder into wp-content > themes and select “Replace” if you didn’t delete it. If you get this message. Please check with your webhost upload file size limit and ask them to increase the limitation. This is because WordPress allows you to have only 1 theme with the same name and folder. To get around this issue, please update theme using auto updater or FTP steps above. 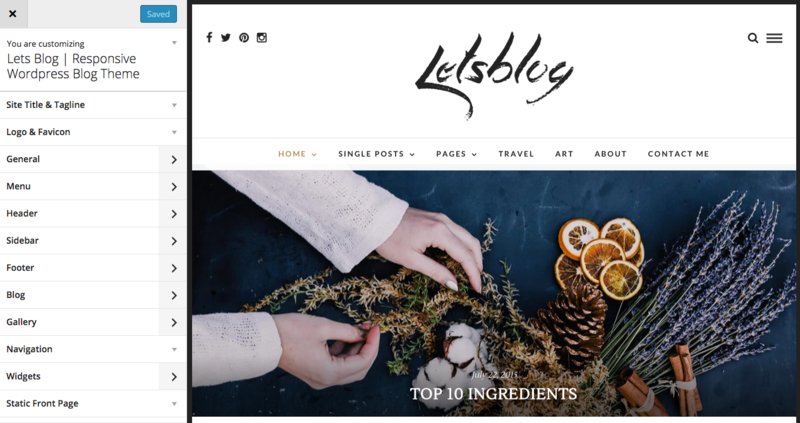 If you update your existing blog site to LetsBlog theme. You have to run this plugin to regenerate all posts's thumbnails from your existing theme setting. Once you installed the plugin, open Tools > Regen. Thumbnails and click on “Regenerate Thumbnails” button. There are many ways to help speed up your site and here are some methods we use to speed up our demo sites and we want to share them to you. NOTE: If you already have image uploaded and install EWWW Image Optimizer. Please run Regenerate Thumbnails plugin so your previous uploaded images are optimised.